Pythiosis is a fungal-like infection that can be obtained from contaminated water sources. It’s most often seen in areas along the gulf coast during fall and winter months. “It’s our concern that Pythiosis is on the rise in our community although we don’t know for sure,” says Dr. Toll. “We’ve had 5 confirmed cases in our community in as many months, which is quite concerning. Four cases were brought to us at AVCC and one was at a nearby clinic. The infection is obtained from contaminated water sources, usually lakes or canals. Aside from swimming in these areas, the biggest danger may be household irrigation systems that draw water from an infected lake or canal rather than from the municipal supply. It is unclear why the incidence may be increasing. 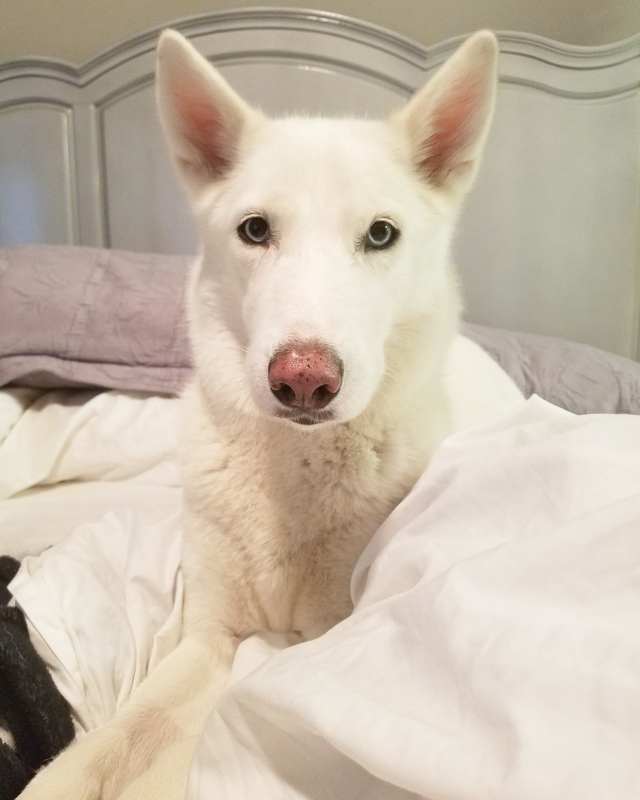 We reported our concern to the state veterinarian and I understand they are investigating.” Mika, who lives in Boca Raton, never swam in a lake or river. Her infection is suspected to be from standing water, possibly infected reclaimed water or even bacteria in the dog park water bowl. The typical course of treatment for Pythiosis is surgical removal of the infected area. However, in cases where the disease is present in multiple areas, medical therapy including medication is the only treatment plan. In those cases, survival rate is about 1 in 5. For Mika, surgery was not an option, as the infection had spread throughout her body. “When I read more about it online, it seemed there was no hope,” adds Violeta. “But, Dr. Toll is probably the smartest person in the entire world. 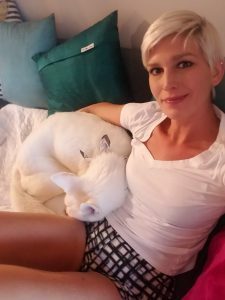 He was so good at educating me about what he knew.” Dr. Toll reached out to other board certified veterinary internal medicine specialists, nationally asking their opinion. He researched and found a case study with a German shepherd who was in a similar situation and was successfully treated with medication. Mika was started on multiple medications to treat her illness. 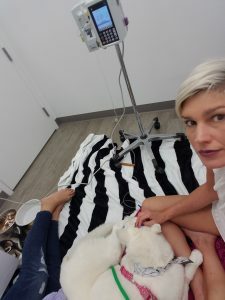 Violeta, a very dedicated pet mom also added her own integrative therapies including hyperbaric treatments to supplement Mika’s care.